As Prime Minister Narendra Modi is scheduled to lay the foundation stone of the prestigious All India Institute of Medical Sciences (AIIMS) at Samba district’s Vijaypur on February 3, the much-ambitious project has faced an inordinate delay of three years due to petty politics of the previous PDP-BJP coalition. Going by political controversies surrounding the mega project, official sources said it had taken more than three years to start the construction work on AIIMS, which was sanctioned way back in 2015. Sources said during the PDP-BJP coalition government in the state, no serious efforts were made to start the construction work by rehabilitating the nomads to the identified area. It was only under the Governor’s rule, that the process of shifting of the nomad families was eventually initiated. Around 280 nomad families, under the resettlement plan, were rehabilitated to Rakh Barotian village in Vijaypur, wherein 10 marlas was given to each family. The process of shifting of the families was started in July 2018 and completed on September 10 last year. A total of 1,954 kanals and 6 marlas (244.25 acres) have been acquired for the project on the Jammu-Pathankot national highway. Sources further said the occupants were reluctant to shift, claiming that it was forest land that had been allocated for AIIMS. 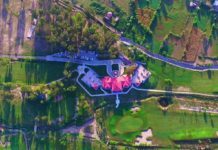 The project slipped into limbo when the then Chief Minister, Mehbooba Mufti, ordered the police not to provide security to any department trying to evict the nomad families from any land under their occupation. During a visit to the construction site, locals blamed the previous BJP-PDP government for lacking the political will to start the work on the ambitious project. 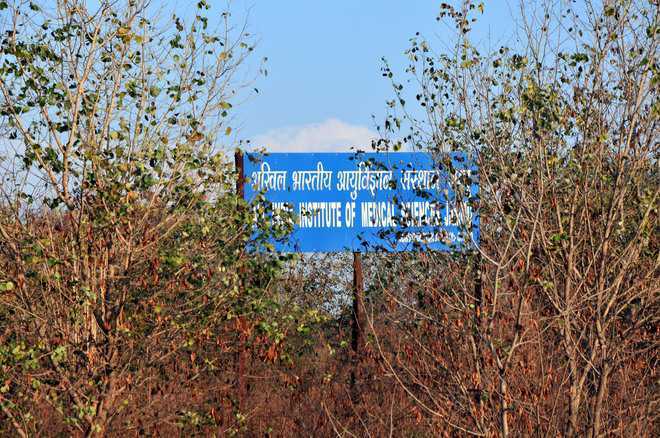 “Even when the land was identified by the state government for the AIIMS project three years ago, why it took so long to start the construction? 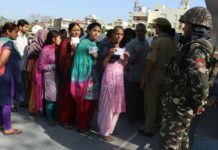 The government was befooling the people for their own political gains,” said Kamlesh Kumar, a resident of Vijaypur. 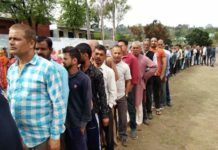 “The BJP and the PDP had selfish interests due to which the shifting of the nomad families took such a long time, which eventually delayed the start of the construction work,” said Ravi Singh, a resident of Chak Bana village. Previous articleWhy Women of Duggar are observing Pugga Vrat?